Worcester Magazine "Best of Worcester 2017"
"Top Class Hotel, Rooms, & Service"
Once you step into our bright, contemporary lobby and take in our stylish décor, you’ll know you made the right choice to book a stay at our Worcester hotel. Beautiful stained-glass windows highlight our inspired architecture to create a truly unique atmosphere, where guests can enjoy hand-picked artwork from the owners' personal collection. Our elegant décor is complemented by stellar services, luxurious accommodations, and generous amenities. Make your special day one to remember when you begin your life together at Beechwood Hotel. We offer lovely backdrops for any wedding. Take a look at what our Worcester hotel has to offer. Our photo gallery offers a glance at our rooms, unique hotel features, and much more. Whether you’re in town for business at Biotech Park or you’re here to enjoy the local culture, Worcester has something for everyone. 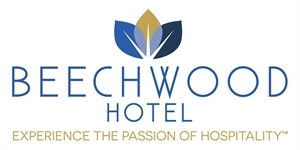 Located minutes from downtown Worcester and adjacent to Massachusetts Biotechnology Research Park, the Beechwood Hotel is right in the middle of everything. From the DCU Center to the College of the Holy Cross to UMASS Medical School and several area attractions, you’ll find all you need right around the corner. We have the perfect room for you no matter what brings you to the city, with 52 well-decorated guestrooms and 21 elegantly appointed suites. 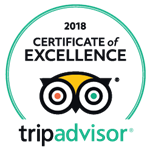 We take pride in being like nothing you expect and everything you deserve, and this shows in our services, amenities, and accommodations. From breakfast served in the casual ambiance of Sonoma Restaurant to chic room furnishings, you’ll receive the treatment you deserve from Central Massachusetts’ only boutique hotel with a AAA Four-Diamond rating.